Recruit ｜ DandeLion Animation Studio Inc. Waiting for person who have a diverse background. We are producing several theatrical animation film and TV series at same timing. 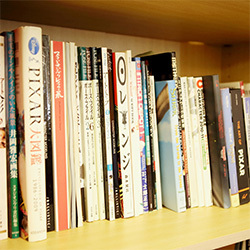 We deliver new titles from our new studio in Nerima, Tokyo. Produce animation series or merchandizing. Experienced in CG or animation production. Microsoft Office skills (Word, Excel, Power Point). JLPT (Japanese Language Proficiency Test) level N1 or N2 required. Copyright management and all sort of management. Experienced in IP (character design and development) or video content licensing. Proficiency in Chinese or English preferred. Supporting producer. Take part in project meeting from early/planning stage. Person who aim to become producer in the future. Not only manage project schedule but also overall project management. Fresh graduate from college can also apply. For mid-career, applied for person who experienced work in various type of management or diplomatic negotiation. Work as IT support to do server management, PC support, and tool development. For mid-career, applied for person who has knowledge in PC support or programming; or experienced work in SE, IT help desk. Overall technical support (production support such as tools development / new software or technology test / production pipeline review and improvement / assets management) so every project can advance smoothly. Required to have experience as director and using MAYA software in production more than 5 years. Knowledgeable and experienced in MAYA rigging. Knowledgeable and experienced in clothing and hair simulation. Knowledgeable and experienced in MEL, python, etc. Improvement of visual and gain in efficiency of project with rigging using MAYA, development of programing tools. For mid-career, applied for person who experienced in MAYA and program development. Make 3D special effects such as liquids, fire, smoke, etc. using various type of plugin in HOUDINI or MAYA. Experienced or intent to use and learn Houdini. Specialized in characters/backgrounds modeling and look development. Experienced in modeling using MAYA/Z-brush, etc. In charge of controlling schedule and quality, also deciding technical method/approach of each project. Overall art direction; supervise and directing production team. Need to be technical proficient, as in position to decide methods and specification. Experienced in MAYA and After Effects. Make final images by combining several elements etc. using After Effects or Nuke. Capable in both full 3D CG and 2D animation style. Experienced in After Effects or Nuke. Total CG production from modeling to compositing. Directing animation team and decide animation style and direction. Required to have experience as lead animator and using MAYA software more than 5 years. Knowledgeable and experienced in animation using MAYA. Make digital key animation for theatrical animation film and TV animation series. 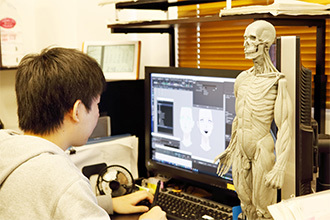 Not only make key animation for 2D parts, but also to establish animation production system cooperation with CG animators. For example, create workflow such as give instruction to CG animator using layout and rough sketch, giving CG animation feedback digitally (paperless) feedback of CG animation, etc. 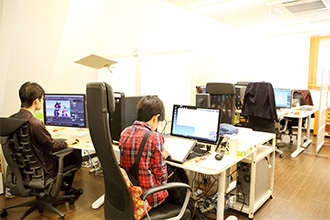 May requested to design character, directing key animator, make storyboard and settings depend on the projects. Experienced in using ClipStudioPaint or ToonBoom and have more than 3 years experiences as key animator. Aim to become digital key animator, even though do not have knowledge of the software. Experienced as key animator is favorable. Please apply via post or by e-mail. Please send resume/CV (part-time experience possible), cover letter, demo reel, document regarding Japanese proficiency by post. *Please be sure to state your e-mail and telephone number on your application form. For the application without contact number or e-mail, we may cannot get back to you. *We cannot tell your application result on phone. Please send application to below address. We cannot return application form. Will accept digital format application also. Please upload application form via online storage service. Please do not forget to set up download password.